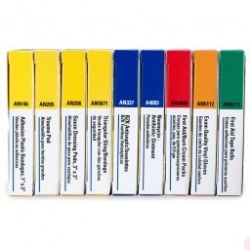 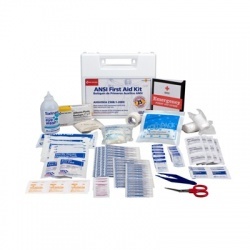 Unitized First Aid Kits There are 7 products. 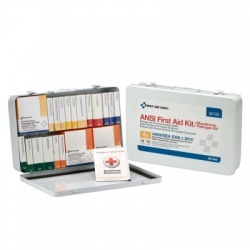 25 Person, 105 piece bulk ANSI kit, plastic case/Case of 10 @ $21.57 ea. 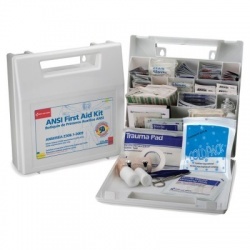 25 Person, 105 piece bulk ANSI kit, plastic case/Case of 10 @ $21.57 ea. 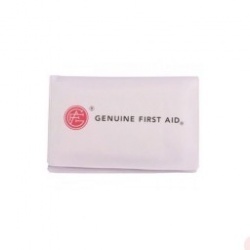 50 Person, Bulk First Aid Kit, Plastic, White, 196 Pieces/Case of 6 @ $29.00 ea. 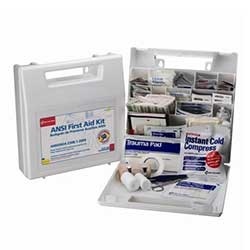 50 Person, Bulk First Aid Kit, Plastic, White, 196 Pieces/Case of 6 @ $29.00 ea.